At Sprout Insights, we comb the web to bring you the most up-to-date and actionable resources on how to use social media to grow your business. To that end, we’re pleased to present the Sprout Insights series Spotlight on Startups. We’ll find the most innovative, useful startup companies out there, get the inside track on what they’re doing, and tell you how you can leverage their products and services for your own business. This week we’re pleased to cast the spotlight on PowToon — a drag-and-drop presentation creation app, headquartered in London, UK, with remote teams based all over the world. 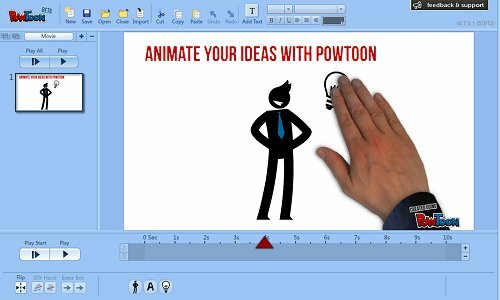 PowToon is a do-it-yourself animated presentation tool that promises to “supercharge your presentations and videos.” Its creators have designed an application where even novices can create professional looking presentations that stand out from pack. The application is focused on both ease of use and quality of the output. Users can easily put together professional quality presentations in a fraction of the time, and at a fraction of the price typically charged by animators or design studios. Using a “less is more” philosophy, PowToon’s creators took a look at incumbent presentation tools like PowerPoint, focused only on a subset of its most widely used features, and then “kicked them into high gear,” according to PowToon co-founder and CEO, Ilya Spitalnik. Users can sign up for a monthly plan, a pay-per-use version, or check out the application with a 14-day, premium free trial. What Needs Does it Address? Spitalnik says that most existing presentation tools all create a similar output — “boring presentations that all look the same.” After a while, your audience stops paying attention to these types of presentations, he says, because they’ve grown so accustomed to seeing the typical PowerPoint style formats. Spitalnik adds that “no matter what message you’re trying to communicate, most presentation software just creates more content that just blends into the crowd.” If you’re using “predictable visuals, boring transitions, none of that is going to capture your audience’s attention,” he says. And apparently, companies considering outsourcing their marketing videos and corporate presentations are also in for a shock, Mr. Spitalnik cautions. His research shows that the typical cost for a professionally produced, 90-second animated demo video for a business or product is anywhere between $5,000 and $20,000. That’s well beyond the range of what most companies are prepared to pay for an animated video. PowToon addresses all these issues, according to Spitalnik. Interestingly, he describes the application as being “designed by designers — for non-designers.” PowToon’s wide range of creative templates, artwork and “props,” along with its drag-and-drop functionality means that it’s a professional grade product that your Mom could still use. It also won’t break the bank, says Spitalnik. In fact, PowToon surveyed its beta test community to come up with a fair pricing model for its users. Whatever your needs are, says Spitalnik, PowToon’s got a feature set and a price point you’ll be happy with. If you conduct any type of presentations, whether in-person or over the web, PowToon can imbue your content with “pattern-disrupting” features that will grab your audience’s attention. 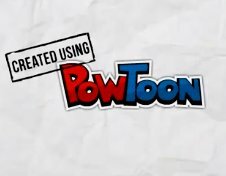 In the three months since PowToon has been out of beta, its clients have created over 40,000 “presentoons” (presentations made with PowToon). You can view some of these on PowToon’s gallery page. 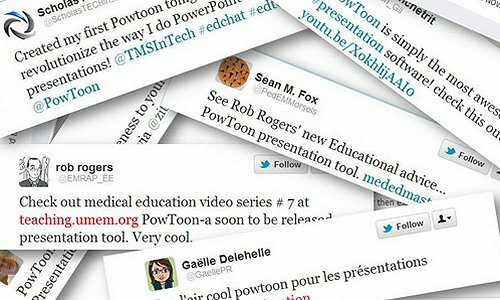 You can also pick up some great ideas about how to use Powtoon based on these case studies. If you’re a student, teacher, lecturer, professor or other education professional, you may also qualify for a free, Education Edition of PowToon. If you’re a designer, animator, or even just a creative genius with a flair for the visual, you can make money creating demo videos as a professional “PowToonist” for other clients. Sign up for a free trial of PowToon, or reach out to the company on Facebook, or Twitter. Know of any other startups that would make a good feature on Spotlight on Startups? Contact us, or let us know in the comments below.